WebRTC has emerged as a potentially disruptive communication technology. The ongoing work being done by the IETF & W3C brings millions of web application developers and application users into the world of real-time IP communications. Indeed, WebRTC enables web applications to leverage web browsers to make real-time voice and video connections to other WebRTC devices or traditional VoIP and video devices through mediation elements that can interface WebRTC with the existing infrastructure. However, voice services have always been tricky to implement and deploy. Participants of the conference will stress some key items like identity, quality of service of the media and regulation issues. 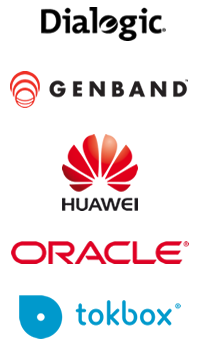 They will also discuss the critical points related to the interworking between WebRTC and the “PSTN” world (call-control protocol, encryption of the media, codecs, browser wake-up). Of interest to 4G network operators, WebRTC can extend the reach of their services to more end points. Of equal interest, the mobile device application developer will find WebRTC as a means of bridging their app across mobiles and web browsers. Introduction of WebRTC capabilities to smartphones opens up great opportunities for new applications and services, but to get there, a number of technical challenges need to be overcome. OTT VoIP players don‘t have to wait for standards and can implement new features quickly as they don't rely on any but the most basic functions of the underlying network. This is why they have been disrupting the telco space for several years now. Finally, many large enterprises consider WebRTC as a potential cost saving for their remote workers (be there home, mobile or other). However, existing enterprise telephony infrastructures do not use or conform to many of the advanced standards being presented by the current implementations of WebRTC in the browser. ICE, STUN and SRTP are among many problems faced while integrating. Along with this, enterprise networks have existing security and compliance infrastructures that WebRTC solutions must be aware of. Does WebRTC constitute a threat or an opportunity for telco business models? What are OTT VoIP players strategies? How WebRTC can change enterprise communications? Can WebRTC be considered as a plain telephony service? What about scalability, security, confidentiality? How can WebRTC and SIP-based solutions work together? 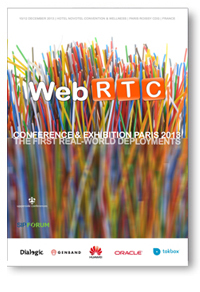 During the WebRTC Conference, to be held in Paris-Roissy, from 10 to 12 December, 2013, experts will address all technical and standardization issues that still need to be solved, based on the first real-world deployments. 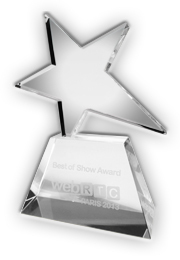 The Upperside WebRTC Conference award has been attributed to MashMeTV. The delegates had to choose between 8 companies presenting at the start up speed dating session. Delegates had to note three criteria between 1 and 5: innovation, business model and ease of use. MashMeTV was ranked first on the three criteria. The second company was Wildix and the third was Quobis. Looking in details on each criteria ranking, it appears that Quobis ranked second in innovation and Wildix third. For the business model criteria, Browsetel is second and Crocodile third. 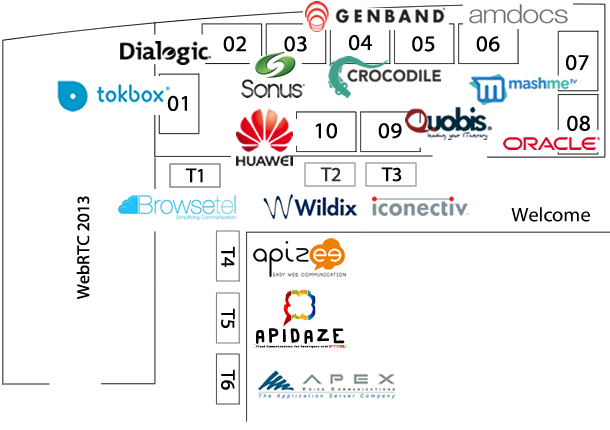 For the ease of use Wildix is second and Quobis third. © 1994-2013 Upperside Conferences. Credit Photos: Ilana Bak | Upperside Conferences. Fotolia. All rights reserved.